Mekhtar Ambar Hotel is delighted to greet you and please to be at your service. Certainly, among the great quantity of tourists there are people who would like to stay in our comfortable hotel. Our hotel is favorably situated between ancient “Chor Minor” complex and “Lyabi-Khauz” complex near Shahrud qanal. 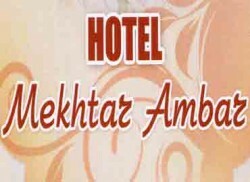 Hotel on the Nakshbandi street within 5-minute walk from Lyabi-Khauz. This building is former “Karavan-Saray", constructed in the 19-th century has been adapted to become a hotel. This is the only hotel in Bukhara, which is in the ancient building in traditional estern style. Here you really feel local atmosphere.